Not all childcare centers are created equally! 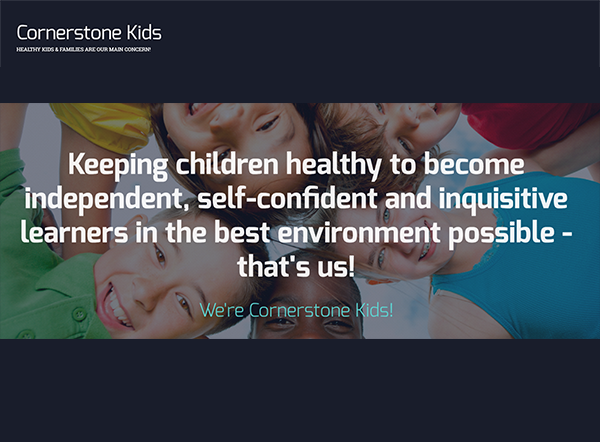 Introducing Cornerstone Kids, a new type of daycare where ‘Healthy Kids and Families are our Main Concern’. Our environment significantly reduces bacterium, viruses, and other microorganisms as small and viscous as the flu virus that can cause diseases - creating a healthier environment not found in existing daycare buildings. 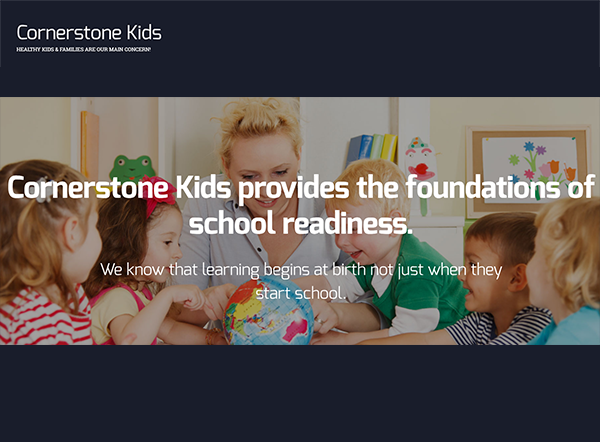 Cornerstone Kids will create a new standard of excellence in childcare with their state-of-the-art, clean air, green energy, clean water facilities. In addition, each facility will offer after school activities, programs, and individualized online education with Khan Academy. 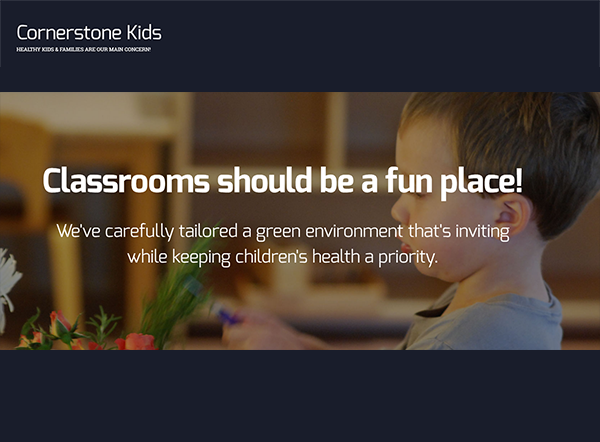 Cornerstone Kids is in the planning stages of building our first 10,000-square foot state-of-the-art, eco-friendly childcare facility on approximately 1.75 acres in Aiken South Carolina which is intended to become the prototype facility for 200 nationwide childcare franchise centers. Our unique focus is on all aspects of health at the most critical time for a child - as they first start to learn. 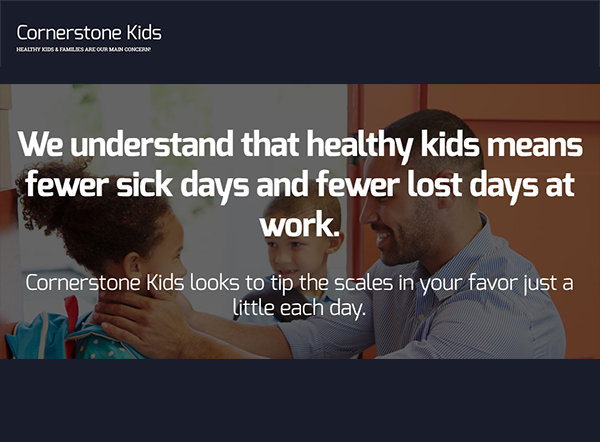 Our healthy kids initiative, the backbone of our company, focuses on four key areas: Environment Health, Mental Health and Learning, Family Values, and Nutrition. Cornerstone Kids has outsourced the design and construction of its Aiken, South Carolina location and its projected 200 additional franchise locations to national award winning Insulsteel™ Building Sciences, LLC, headquartered in Charleston, South Carolina. Insulsteel provides architectural, engineering and manufacturing systems for constructing High-Performance buildings for both the residential and commercial building markets. Insulsteel has designed the EcoShell™, which is an innovative building enclosure system that significantly reduces energy costs, withstands hurricane winds up to 200 MPH, provides thermal insulation values equivalent to 400% greater than traditional wood framing, and can meet commercial building code requirements for U.L. two-hour rated firewalls. The U.S. Green Building Council (USGBC) named Insulsteel as the Top U.S. Builder with revenues under $100 million. The U.S. Department of Energy (D.O.E.) has named Insulsteel to its “Top 1% of US Builders” in recognition of constructing ZERO ENERGY Buildings. Since 2014, the US Environmental Protection Agency has named Insulsteel as a “Partner” in the EPA Indoor AirPLUS program. The Partner Program recognizes leading organizations who promote safer, healthier, and more comfortable indoor environments. Investors can join us to build our first prototype childcare center. Preferred stock is priced at $100 per share. We are truly excited to bring this unique eco-friendly and healthy childcare concept to market with our first prototype facility. Each is designed to keep our young children healthy in a unique facility designed to foster early childhood education. I hope you will join us to launch our business! Equity investment also include profit sharing and a return of investment with 10% annual interest!